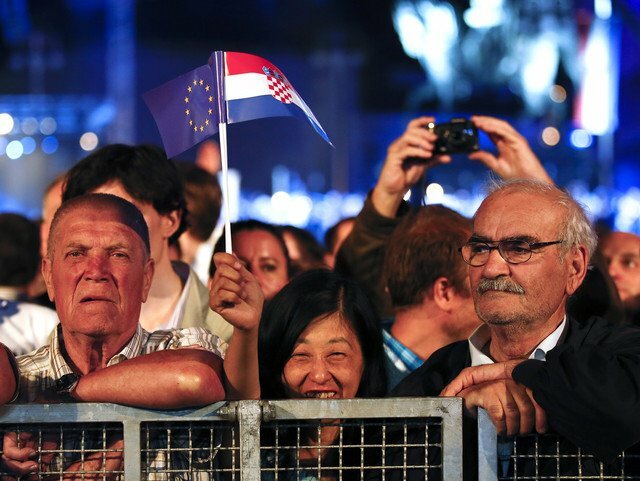 Starting with 1st of July 2013 Croatia has become the 28th member of the European Union, with crowds joining celebrations in the capital Zagreb. Fireworks lit the sky as membership became effective at midnight on Sunday, with President Ivo Josipovic describing the event as historic. President Ivo Josipovic said it was “a great and joyful day for our homeland”. Croatia is the first new EU member since Romania and Bulgaria joined in 2007. It is 10 years since it applied. Concerns about Croatian corruption and organized crime remain among some EU leaders, and Croatia will not yet join the single currency nor the visa-free Schengen zone. Two-thirds of Croatians voted in favor of accession last year. “It’s important for us primarily for the long term guarantees of political stability and then everything else – the single market too,” said Croatia’s First Deputy Prime Minister, Vesna Pusic. It hopes the other countries of the former Yugoslavia will be encouraged to join – and secure long-term peace for an historically turbulent region.